If you haven’t experienced a layoff personally, you probably know someone who has. Today’s difficult economy has had a huge effect on businesses everywhere, which translates to the job market becoming more competitive than most of us have seen in our lifetimes. What’s the best way to guard against being the one who’s laid off or let go from a job? Be the best choice for an employee that your company has available. That may not guarantee that you don’t find yourself suddenly without a job or that you are part of your company’s cut-backs. But it will sure give you the best chance you can have of keeping a job, keeping your hours or pay level and even being the one who is considered for advancement. Here I’ll share what makes a “star employee” based on my own experiences as a business manager and by what I’ve learned from associates. There are a few things that really make a difference that most people don’t even think of as having an impact on their job. While this may not be an all-inclusive guide, following these strategies will definitely increase the value your company places on you. A very successful man once told me, “your smile is the most valuable part of your wardrobe”. Your personal appearance on the job should be a ‘no brainer’ but just in case, here are some tips. Always dress appropriately when you’re at work or even a job-related get together (office parties, etc.). Unless you’re part of the cast of “The Real Housewives of Wherever”, modest attire in the workplace is a must, no matter what your gender is. Belly buttons should never be seen at work unless you’re a lifeguard or underwear model. Another thing to keep covered is the plumbers’ crack or that cute little tattoo on your lower back. Guys, pull up your pants. Ladies, button up that blouse. Be professional. Coordinate your shoes with your belt, iron your shirts (and pants if needed), be clean & groomed. Even if you can’t invest in a new wardrobe each season, there are a lot of things you can do to keep looking good each day at work. Obviously, unless you work on-screen, your hair & makeup should always be done before you get to work. 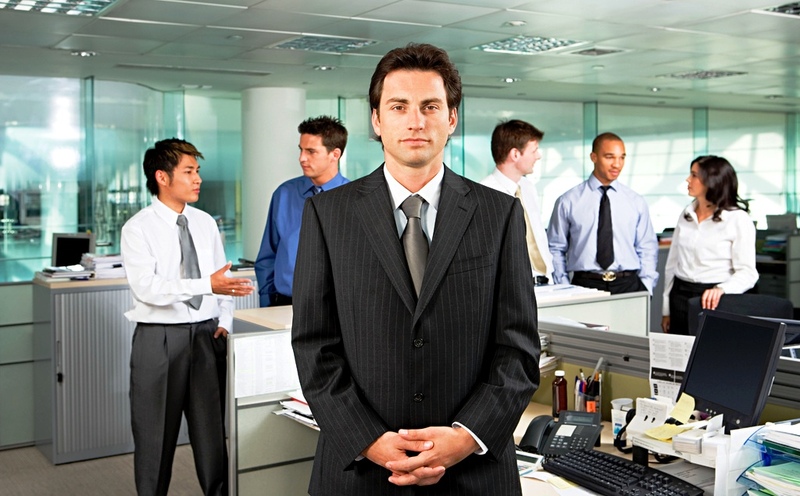 If your office has a dress-down Friday, try dressing just a little nicer than the rest of the staff you work with. Your own health is a major key to your success at work. When you’re run down, overly tired, not eating right or getting enough exercise, it will show and have a marked impact on your performance. Your boss is probably going to notice that you haven’t been getting enough sleep long before they actually pull you aside and say something. Eating & sleeping right will help you focus & think better. In addition to proper diet & rest, exercising & staying in good shape minimizes work related injuries. If your boss sees you as a liability, that doesn’t translate into job security & advancement for you. Your health will play a role in how you feel and your attitude (e.g. how well you can deal with job stresses). Anything you do in life, if worth doing, should have a plan behind it. Planning out your personal schedule is important when it comes to your job, too. It minimizes catastrophes & drama from little things which could interfere with your job performance. Coordinating things in your personal life with family, etc., can minimize distracting personal phone calls while at work and can help a lot when it comes to cutting down on stress from outside sources as you’re focused on the job. I actually once had an employee who called in to work saying they couldn’t find their car keys, so they were taking the day off. That doesn’t work for long. Planning for your job should go as far as long term career goals but also includes making sure you’re in good health & that you’re well rested from day to day. Very similar to planning, organizing will make things in your personal life and on the job go so much smoother. This can mean something as simple as knowing where your keys are as you’re headed to work in the morning. Keeping your workplace clean and organized will help you be productive & efficient, as well as making a great impression on the boss. You might be amazed how many people are laid off or fired due mainly to their poor attitudes. Even if there are things about your job that you can’t stand, your attitude & character will determine where you wind up more than most other factors put together. Smile, be agreeable and work as a team player even if you generally aren’t. If you have something from outside work that’s frustrating you, leave it outside of work – and then deal with it as soon as possible afterward. There’s going to be ‘politics’ in any workplace. Make it a personal rule not to play that game. There’s no reason to kiss your boss’s backside in hopes of getting ahead. Your personal integrity and hard work will go much further and will actually be genuine. Don’t participate in rumors, water cooler gossip or talking behind anyone’s back. Remember that anything negative you say about someone will almost always get back to them. If a coworker is gossiping about someone, you don’t have to participate. You can politely say something like, “It’s not fair to talk about Amy if she’s not present”, or come up with something just as effective. Your integrity is at stake if you gain a reputation as a bad mouth, rumor-monger or gossip. If people know that you aren’t going to take part in covert conversations about other people, they will also trust you not to do it in regards to them. Volunteer from time to time if you can. Keep personal calls at work to a minimum. Never text or take personal calls around clients/customers. Increase your knowledge & skills. Take a class. Get that degree. Read some books. Invest in yourself. Always follow up & follow through. Be honest at all times. Not that ‘brutal honesty’ that says “you look like hell today” – but the kind that shows people you’re trustworthy. Work to strengthen your customer service skills. It will pay off no matter what industry you’re in. While there are never any solid guarantees when it comes to job security and advancement, following these guidelines will put you in the most favorable position possible in your workplace. Do you have ideas that help when it comes to being a star employee? Share your thoughts in the comments below. Image via Victor1558 under license. These are all very good points and it is amazing how many employees take their jobs for granted. In a downsizing economy that is never a smart move. @candacemountain You’re absolutely right. It does seem like many people take having a job for granted, too – or at least don’t really appreciate it. Great advice. “Remember that anything negative you say about someone will almost always get back to them.” Always contribute positively to the company’s culture and growth. @NicolasLiu I like that: “Always contribute positively to the company’s culture and growth.” Thanks Nicolas. Contributing positivity to the organization and its culture helps build a stronger company culture. Company culture is perhaps the only really decisive competitive advantage that a company can make uniquely theirs. @WayneHurlbert Nice! Thanks for sharing the idea of “company culture”! That is a very unique advantage. Thanks Wayne. It’s good to include health, as so many employees don’t understand without it, they won’t be able to work. Too many late nights, without recreation, an ineffective employee makes. @mgilstrap19 Thanks for stopping by 🙂 Hope to see you again soon! Excellent tips Cole! Someone once told me to imagine a bouquet of flowers, that are all the same color except for one. Of course the one that is different will stand out from the others. Strive to be the person that stands out in a positive way. It doesn’t necessarily mean you are better than everyone else, it just means there is something special about you that people notice. Being valuable, means that one would be hard to replace. Seems like anyone and everyone is replaceable… Cole, you provide great advice!! @MottMarvinKornicki You’re right – having value means being harder to replace. Now days it does seem that everyone is “replaceable” as you said! Thank you Marvin. Great post! I would encourage you to pick up a copy of Seth Godin’s book – “Linchpin” if you haven’t read it. It focuses on becoming indispensable in the new work economy. @martinjonesaz Excellent recommendation, Martin! I’ll look for the book. Thank you. Excellent points, and I totally agree, these also work well for those of us who are self-employed . @annehthomas You’ve got an excellent point here, that the same strategies are beneficial for those who are self employed, too. And, bosses, managers, etc. Thank you Anne! @PauloMealha Paulo, thank you so much. That means a lot! Best wishes! “Secrets of Being A Valuable Employee” is a great article especially for me! It will helps me a lot! Thank you so much! Excellent tips Cole! Someone once told me to imagine a bouquet of flowers, all the same color except for one. Of course the one that is different will stand out from the others. Strive to be the person that stands out in a positive way. It doesn’t necessarily mean you are better than everyone else, it just means there is something special about you that people notice. @Diana Lewis Diana, this is awesome. A great way to think of standing out – not to necessarily be “better than everyone”, but to have the attitude of doing something to differentiate yourself. Thanks for taking the time to share your thoughts. A well-written article and great advice for the self-employed as well as the employed. Courtesy and respect for the people you work with and for your customers help make you stand out. Increasing your knowledge and skills shows others that you care about yourself and your job. Excellent article and valuable tips. All ingenious – is simple! If to observe all these, it would seem common truths, indefatigably, it is possible to achieve amazing results in a terminal point. It is important, not that you have, and the one whom you will become. To have the great purpose and to aspire to it! Remarkable post! @grey5533 Thank you for your comment – and taking the time to read the article! Hope to see you back here again soon. Thanks for the great information Cole. Thanks for reading – and for your comment, Martina. Have a great weekend!